Olivade is beautifully appointed and decorated throughout with stylish furnishings, marble bathroom, super-king bateau-lit bed, quality kitchenware, air conditioning and WiFi. French windows open onto the South facing balcony where you can take in the view. 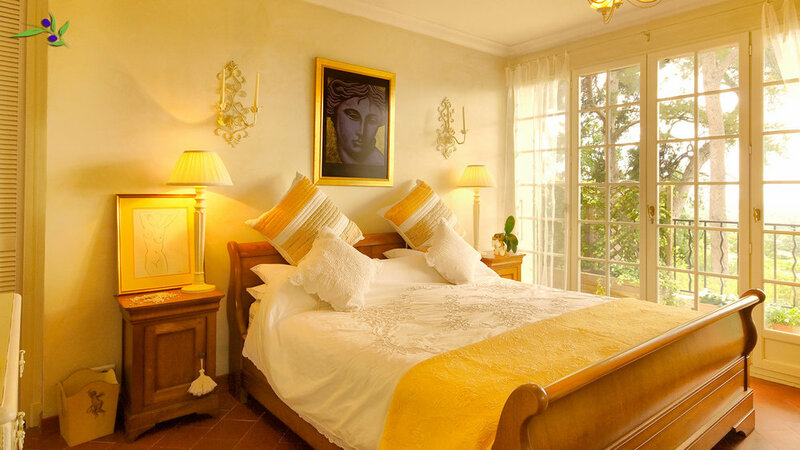 The villa has recently recently been upgraded to offer more comfort and convenience to guests. An upgraded entertainment system (not shown), new oven and washing machine as well as a host of other details means that you will not want for anything. The air conditioned bedroom is large and spacious with a super king-size 'bateau-lit' bed. There is ample storage in the large wardrobe, bedside cupboards, dressing table and chest of drawers. 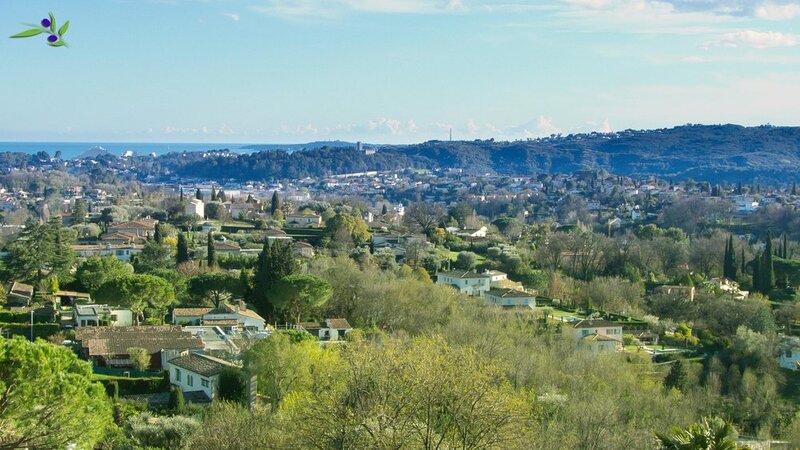 The double glazed French windows open onto the balcony and you can enjoy stunning views to the surrounding countryside, the sea and Cap d'Antibes. Red squirrels are a regular sighting in the Pine trees around Domaine du Piol. The bathroom has twin basins set in marble. Above the basins is a full width mirror. There is plenty of cupboard space under the marble top for all your items. Robes, a hair dryer and quality towels are provided. The large shower has plenty of room and mixer taps to get the temperature exactly as you like it. There is also a Bidet. There are south and west facing balconies allowing you to enjoy the sunshine during the day and the sun setting in the west.